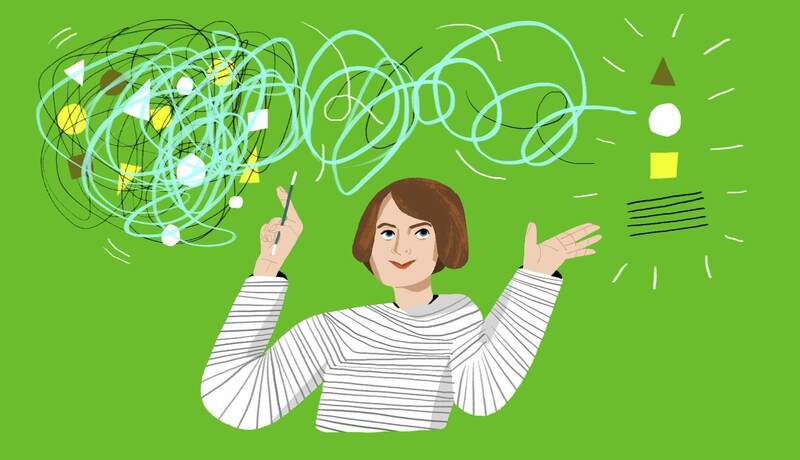 Talking Shop is an interview series where we talk to freelancers about freelancing. 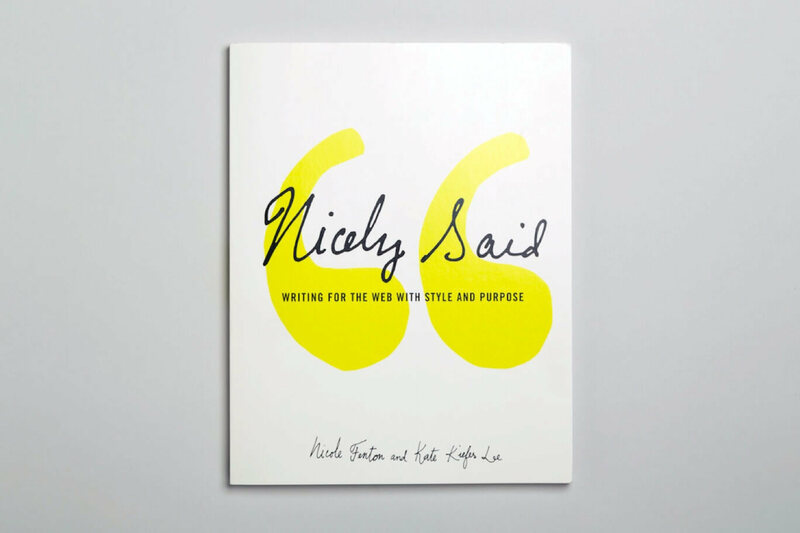 In this interview, we talk to Nicole Fenton, a writer and editor, researcher, and strategist in Brooklyn, New York. Nicole Fenton: My name is Nicole Fenton. I’m a writer, editor, researcher, and strategist. 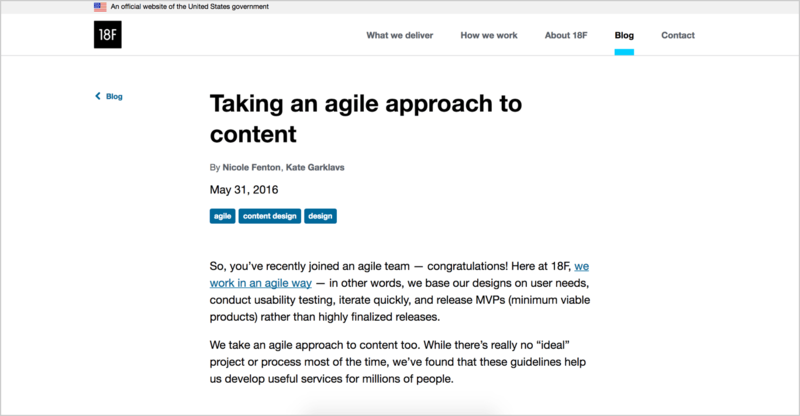 I lead the content design team at 18F, a consultancy within the government, where I’ve been since September 2015. The program works in two year terms, and I’m planning to stay for a second term. My work usually centers around complex, content-heavy projects in the realm of user experience. These projects are often research-driven and iterative, involving multiple rounds of workshops, processes, and the like. Outside of my day job, I teach a strategic writing course for designers at the School of Visual Arts. I also teach workshops and coauthored Nicely Said: Writing for the Web with Style and Purpose with Kate Kiefer Lee. I’ve always been interested in technology. I grew up on the internet and my parents met in an engineering lab, so computers are a big part of my life. I graduated from college with an English degree and a love for writing, and tried to figure out how to bring the two together. I got a job at Apple working in their call center. It wasn’t exactly my dream job, but I had worked in various customer service roles since I was 15, so I was able to wedge my way in there. 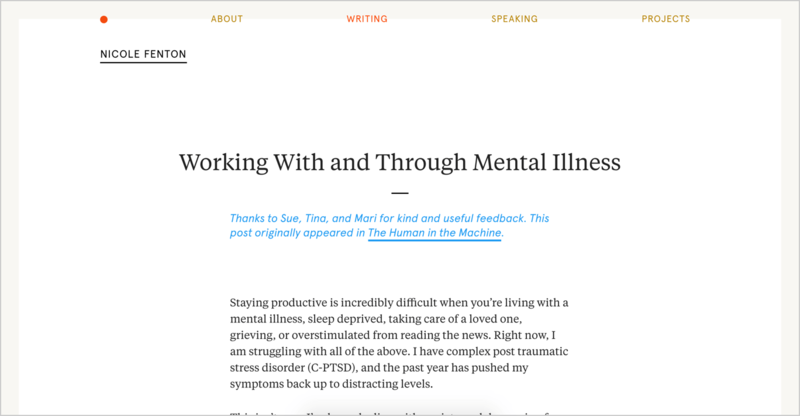 I began with answering phones, then email, then writing positioning, policies, and web copy. Along the way, I developed documentation, training, and process flows. In 2008, I saw Rachel Lovinger and Karen McGrane speak at SXSW. It was the first year content strategy was part of the conference. 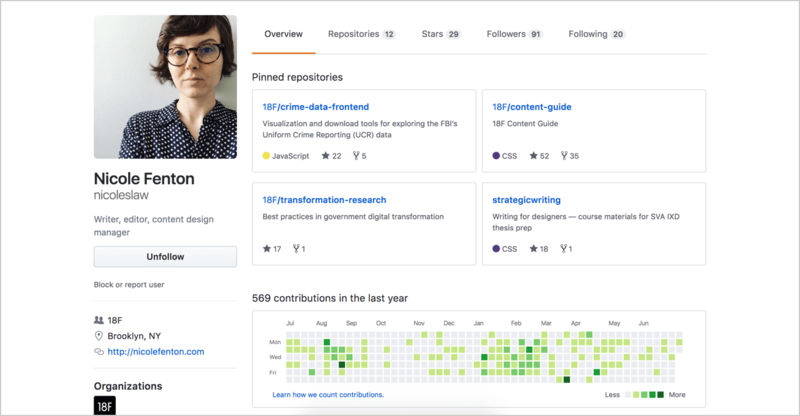 I realized that the work I had been doing had a name and I wanted to figure out how I could do it more effectively by collaborating with designers and engineers. The job I wanted didn’t really exist at Apple at the time, so I eventually left and became a content strategist at Mule Design in 2010. I continued moving up in terms of project complexity and here I am, working in government. I feel like your story resonates with many others who ‘made up’ their careers and defined their industry in the process—something increasingly common with roles tied to technology. How did you approach this? I learn by doing and teaching. If I can’t write it out, I don’t have it figured out. Part of my process is to write it out, explain what I think to be true, then share it, and get feedback. That’s why I share so much on GitHub. It’s true. Speaking to your current process, how do you typically approach some of these larger, more complex projects? In the beginning, I try to understand what the problem is and who it impacts. I spend a lot of time interviewing and listening to stakeholders and users themselves. In terms of methods, I like to do a little bit of everything. I really love having people write in workshops to help them figure out what they believe. I do a lot of exercises where I have them write about the future or madlibs where they fill in the blanks. The real goal with any of these is to get out their assumptions and priorities to create a framework for moving forward. I also do more typical content research activities like auditing, comparative analysis, looking at data, testing navigation, and making wireframes. What role do you think language plays in all of this? Language is woven into everything we do. It’s hard to separate thinking from language. So, for me, I try to understand that different people have different interpretations of language—and words can be really subjective. A big part of writing is figuring out what you want to say and how to say it. The copy you use should be evocative, if that’s its intent. What’s the difference between the problems you were solving before, versus now, working with government? When I was freelancing, I worked with a lot of product teams and publishers. For better or worse, many startups don’t make it and then whatever work you did disappears. You help them define their mission and vision and find their voice, or perhaps put together a content workflow, and then they get acquired or run out of funding. That’s hard. The problems I work on now are large in scale, potentially spanning across several governmental agencies. Less marketing, more research. Some of the biggest problems in government are the same kinds of problems you see in higher education institutions where there are a lot of silos, division, and hierarchy. My role is less about trying to shape and sell something and more focused on making things useful, which I love. What motivates you most about the work you do—particularly now with the new administration? What gets me out of bed in the morning is the same thing that got me out of bed when I worked for a consumer software company: I like helping people. That’s how I started this work. You can make real, transformative change. That’s what public service is all about. I’m here to listen and ask questions and try to make things better. On hard days, I think about my coworkers and colleagues in government who show up every day and genuinely care about improving things for the American people. If I can make something better than it was yesterday, I can help thousands or even millions of people. You can visit Nicole Fenton’s website at nicolefenton.com.